People just don't want to forget. Or let go. That's the overriding feeling I get looking back at this week's news. We had the cancelled Xbox smartwatch that just won't go away, and then there's Rebble, the team of ex-Pebblers who are keeping the much-loved platform alive. There was plenty of future gazing to balance things out. Like the headset designed to stop motion sickness in self-driving cars, a smart contact lens for diabetics that taps into tears and a future Apple Watch feature. So what else has been going down this week? Here's a run down of the big wearable tech stories. Fitbit announced this week that it was keeping the Pebble servers switched on until 30 June, having previously suggested that it was going to pull the plug at the end of 2017. That means Pebble smartwatch owners can enjoy another six months of being able to install apps the standard way before you need to learn how to side load them onto its smartwatches. Fitbit is hoping that loyal members of the Pebble community will embrace what its doing with its own operating system, which currently runs on the Fitbit Ionic. The company picked a good week to announce the winners of its app challenge, where it asked developers to build apps for its solitary smartwatch. The winner was perhaps unsurprisingly a fitness-based app but the real hope here is to jumpstart developer relations and to get them to buy into what Fitbit is doing. While Fitbit was trying to appease to the Pebble community by extending the life of its OS for a few months, Rebble, a project started by Pebblers is hoping it can keep things going a whole lot longer. 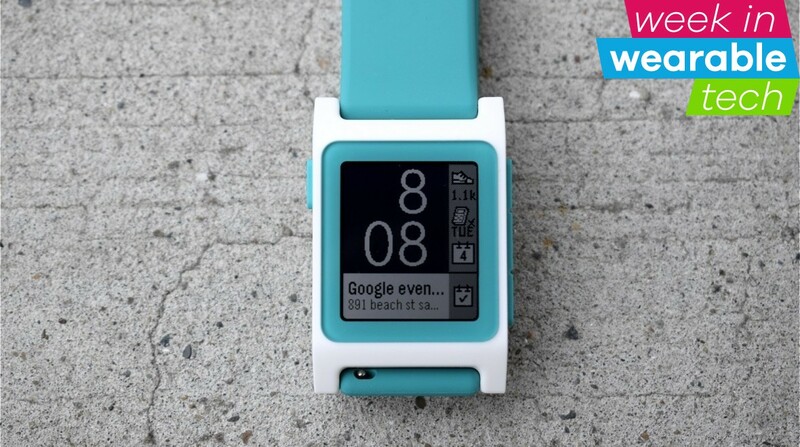 We spoke to the leader of the Rebble movement who's now in a race against time to get something in place for Pebble owners who refuse to jump ship. You can also give the latest episode of our podcast a listen to hear more from our US editor Hugh and reporter Husain about all things Rebble, Pebble and Fitbit, and how this might all turn out. We are not even a month into 2018 and Apple is already showing its intentions to go big on health tracking. The latest development involves rolling out a new software update that will enable people to download medical records on their iOS devices. Along with this new Health Records feature that rolls out in the spring, the company also appears keen to grow its health team. It posted vacancies for a "Health software integrations engineer" and a "Senior software engineer" in health on its website. Apple has already launched a study to explore whether the Apple Watch can detect serious heart conditions and is rumoured to be adding a medical grade heart rate monitor to its next generation smartwatch. Don't be surprised if we are hearing a lot more about Apple and its health ambitions over the coming months.